Olansi Healthcare Co., Ltd(Guangzhou Olans Water Treatment Equipments Co. Ltd) is a professiona whole house hydrogen water maker manufacturer producing Non-Electric Alkaline Ionizing Filters,non-electronic filtering devices,Molecular Hydrogen Generators,Molecular hydrogen machines,Alkaline Plus Pitcher,Alkaline Ionizer Purifier Energizer,Hydrogen Machines,hepa air purifier,antibacterial air purifier and so on. Olansi people will tell you why it is needed to choose a best whole home hydrogen water maker and cleaners, central for home healthy. Nowadays, all kinds of trace elements are very popular in society. Some readers have called to ask. Now there is a cup called a hydrogen-rich cup on the market. I would like to ask, what is the benefit of this cup to the human body? The water produced in the original hydrogen-rich cup is also called water, hydrogen and water, and it is popular in Japan. Hydrogen water is a kind of reduced water, rich in active oxygen, and has an antioxidant effect. This is inseparable from the characteristics of hydrogen. At present, it is recognized by academics that hydrogen has selective antioxidants that selectively neutralize hydroxyl radicals and nitrite anions. This is the molecular basis of hydrogen’s treatment of oxidative damage. In addition, the hydrogen molecules are small and actively penetrate the whole body. They can penetrate various physiological barriers and cell membranes, enter the cell nucleus, and take away malignant active oxygen that cannot be eliminated by general means. 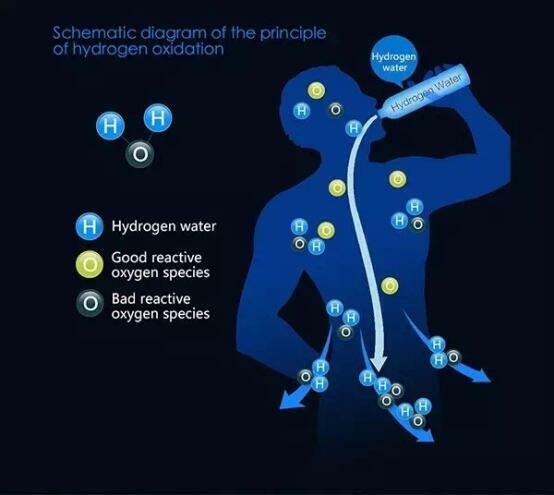 What’s more, hydrogen water maker’s hydrogen can be turned into water by the human body after removing active oxygen. It will not affect the normal functions of other benign reactive oxygen species and biomolecules, and will protect the important biological molecules and cells that are easily damaged by oxidative damage. Hydrogen is very promising to create a new chapter in the fifth generation of antioxidants. Therefore, drinking hydrogen water not only can resist oxidation, but also improve lifestyle away from chronic diseases. For example, it helps to hangover, bactericidal anti-inflammatory, but also prevent bad breath. At the same time, the use of hydrogen-rich water to cook rice and fish can make the food more delicious. It can be used for cleaning vegetables and fruits and can maintain its quality and freshness. People who want to maintain their youthfulness should think about drinking hydrogen enriched water, and can take help of the hydrogen water machine that Guangzhou Olansi Healthcare Co.,Ltd produces. The water maker visualizes the electrolysis process and has a touch control for shutting down the process. The water maker features a high strength plastic that is environment friendly and free from toxins. The bottle body is made of Eastman Tritan plastic that has a high temperature resistance and also makes it easy to clean. Guangzhou Olansi Healthcare Co.,Ltd is a Professional Manufacturer of Air Purifier, Car Air Purifier, Water Purifier, Water Dispenser, and Hydrogen Water Maker. The company focuses on producing environmentally friendly home appliances, with a commitment to promoting the cause of development of the motherland and to improve water quality. They take care of customer services, patiently listen to them, understand their needs, and provide them with accurate quality products and services as well as value-added solutions.